Mystery X220 FHD board, and Linux. So I got a hold of a FHD modded x220, in a trade. The person I got it from, said he couldn't get it working out with linux, but it supposedly worked with windows. I patched the kernel, a few times over, and have had no success. The only time I get video out of the internal display, is with a external attatched. I thought it might have been the since wire, but when I opened it up, it didn't appear to be a nitrocaster mod. Re: Mystery X220 FHD board, and Linux. 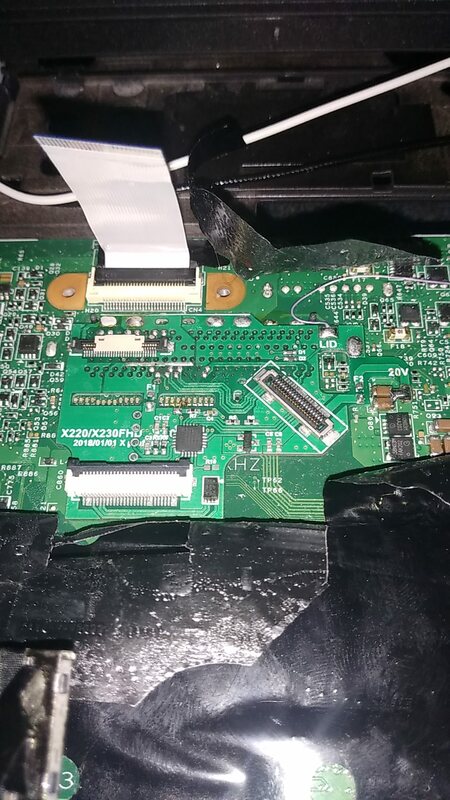 Doesn't look likes the boards I got, this one uses the LVDS connector, might require mirroring. When patching the kernel, did you adjust the model number to match your motherboard ? It should show up early in dmesg. Also, try pressing 2 sec on the power button to put it to sleep then wake it up.